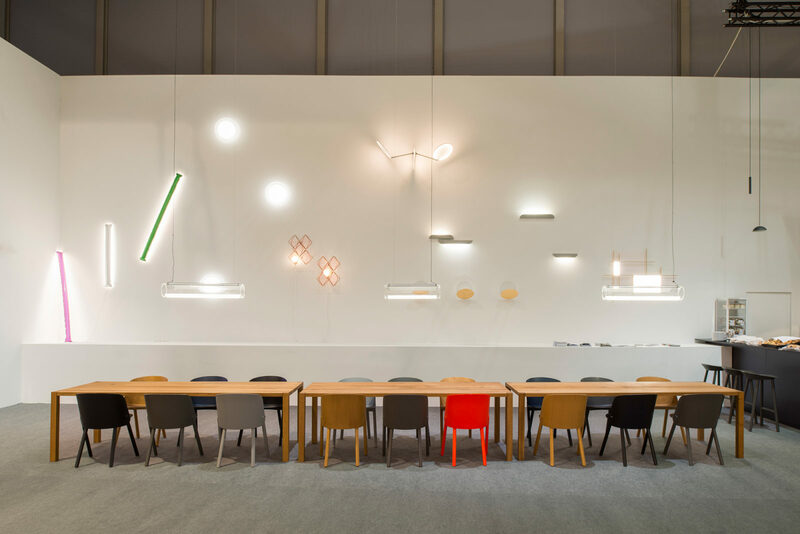 To fill the position of a project manager, we are looking for a motivated interior designer with dedication and team spirit to lead national and international projects. The multifaceted duties and inspiring responsibilities require a high level of competence for cross-functional collaboration. 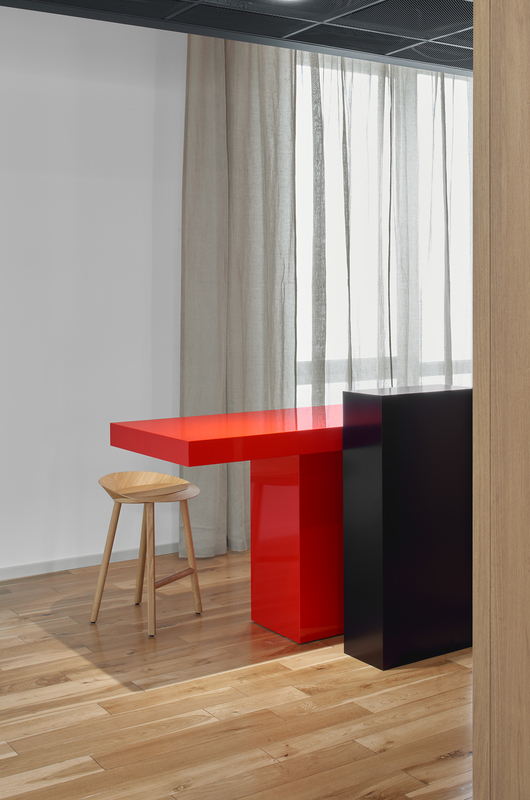 PHILIPP MAINZER OFFICE FOR ARCHITECTURE AND DESIGN works internationally on commercial, residential and cultural projects providing full architectural, interior design, exhibition design as well as product and furniture design services for both public and the private sector. For international projects we are looking for a motivated trainee to join our busy team as soon as possible. 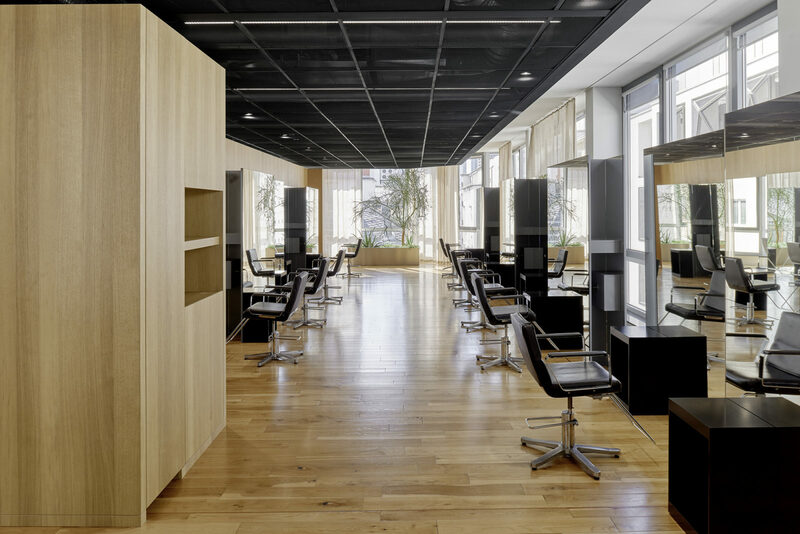 The work relates to all planning phases of architecture and interior design. 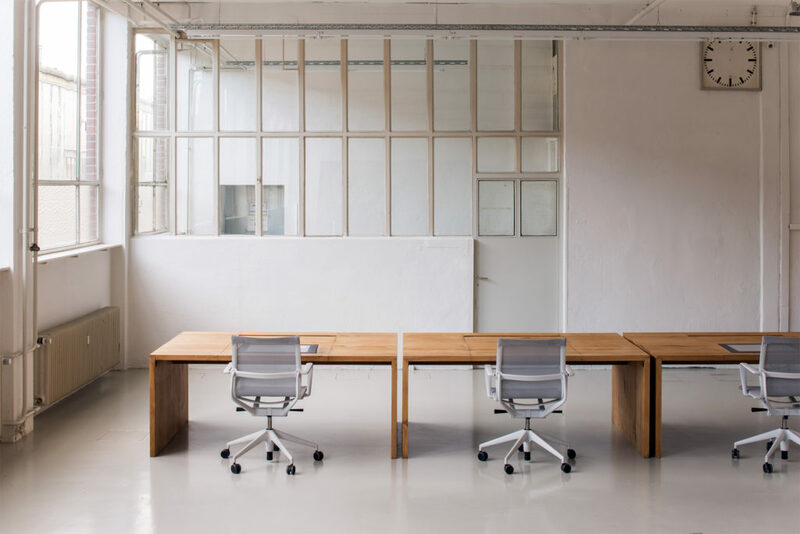 This is a great opportunity for anyone with great commitment and team spirit to work in a multidisciplinary architecture and design office on a portfolio of different scale projects. Due to legal regulations regarding minimum wages, we have to restrict internships to three months, starting at the beginning of each quarter. Compulsory internships in the course of your study programme are an exception as they can be organised for a longer period of time. Please note that we only offer internships to students in their 3rd year of university (or higher). 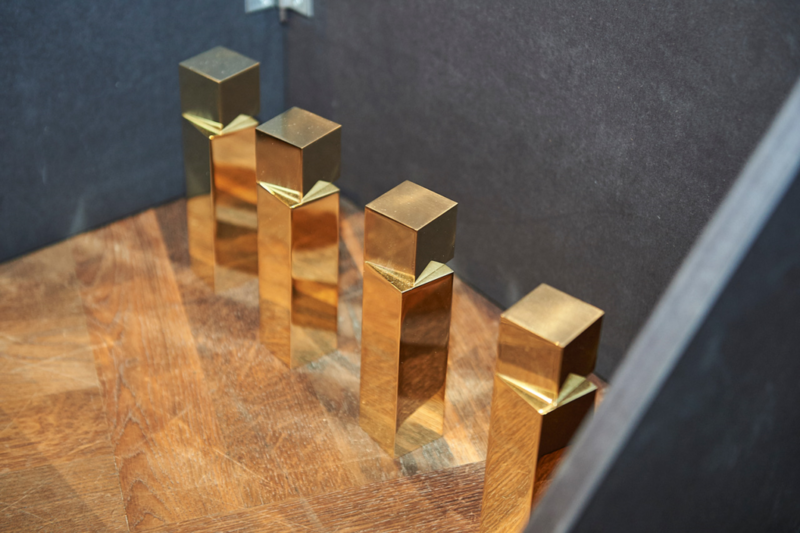 The design made from solid polished brass reflects the philosophy of e15, which is based on the pure use of material, and is manufactured by a specialised workshop in Germany. Untreated by chemicals, natural oxidation processes create a beautiful patina over time, making every trophy unique. 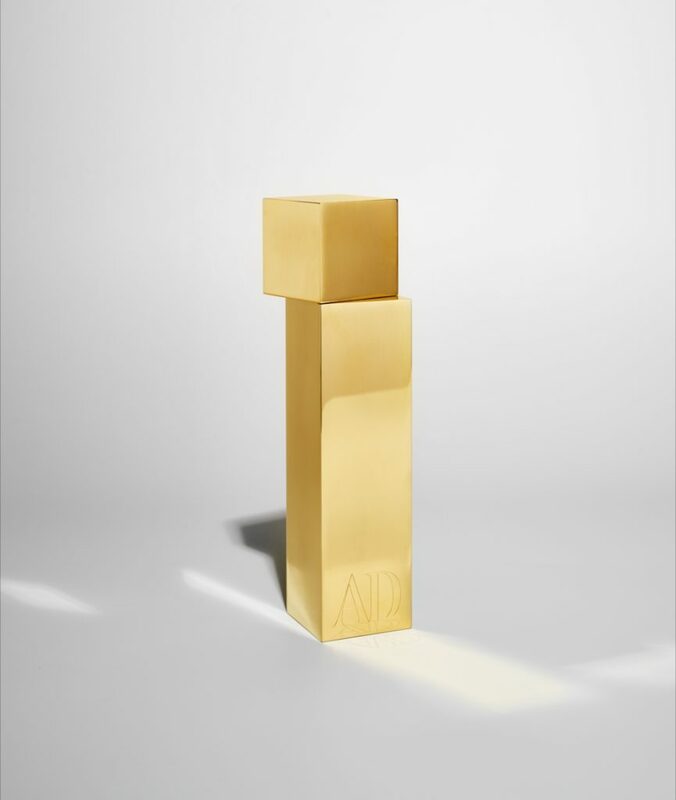 An award should radiate a certain value – the design for AD is very reduced as I tried to avoid the trophy being considered a functional object. 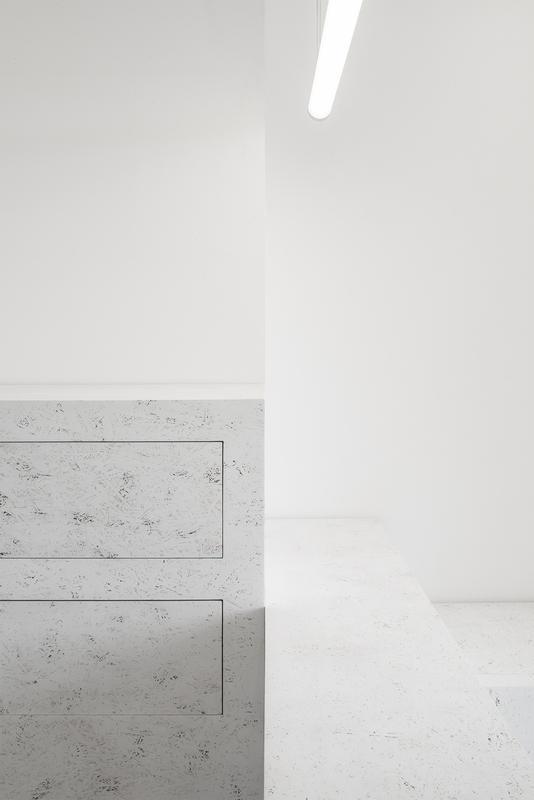 The simplicity of the design celebrates the material itself – and AD as the sender. 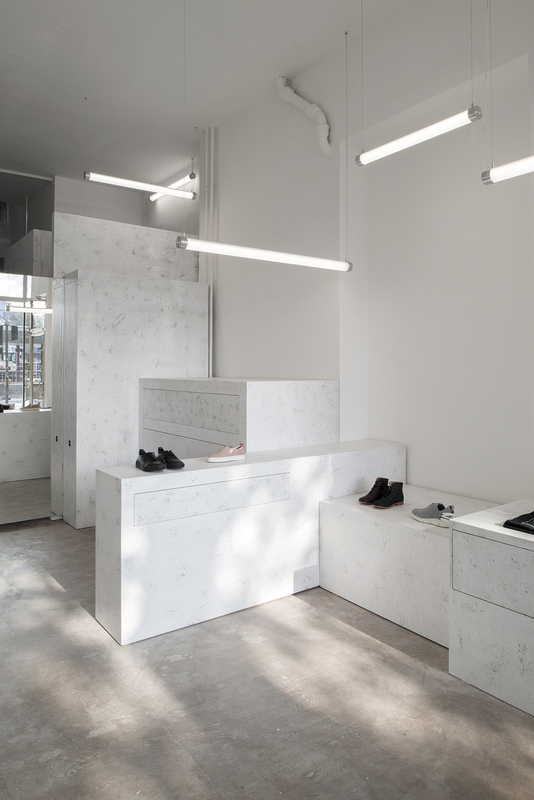 PHILIPP MAINZER office works internationally on commercial, residential and cultural projects providing full architectural, interior and exhibition design as well as product and furniture design services for both public and the private sector. 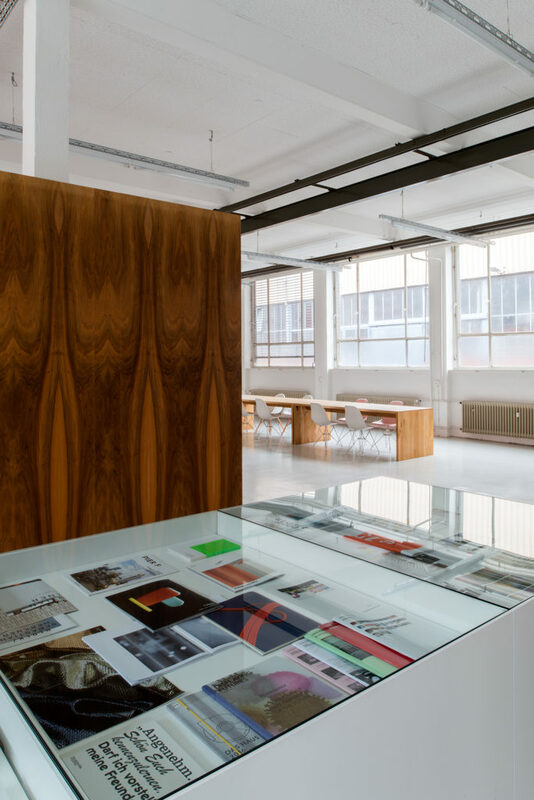 For immediate placement, we are looking for a motivated architect and project manager with dedication and team spirit to work national and international projects. 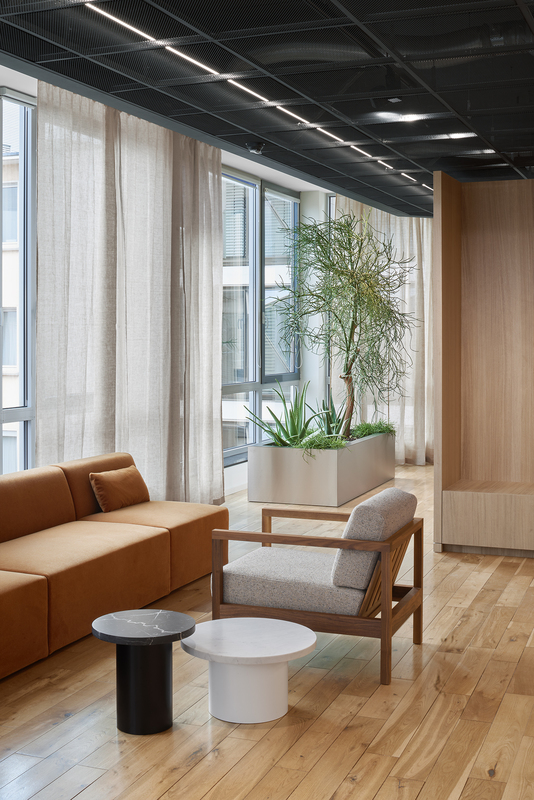 Focus of the role are different projects and all architectural design phases (in compliance with HOAI 2013: LPH 1-8) as well as managing the team. The multifaceted duties and inspiring responsibilities require a high level of competence for cross-functional collaboration. 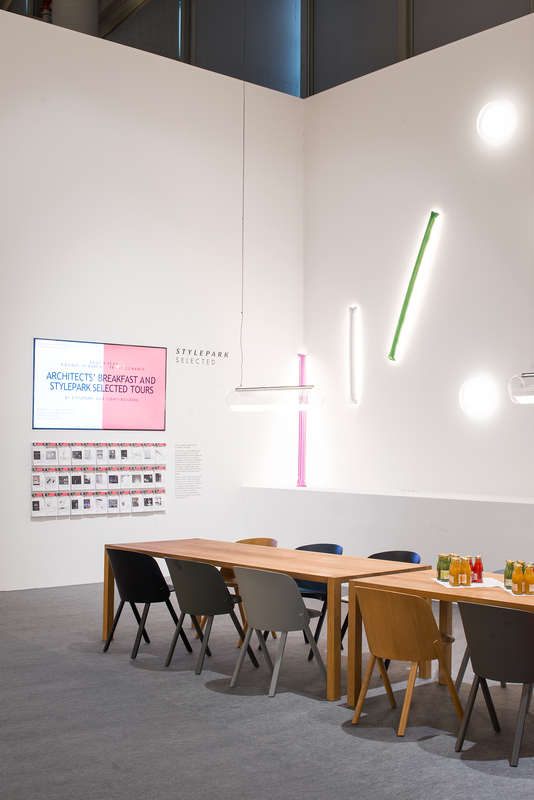 Offering a clear perspective, the exhibition design by PHILIPP MAINZER OFFICE FOR ARCHITECTURE AND DESIGN features tall enveloping walls rotated on an axis to face the visitor along with a catwalk like display of lights. 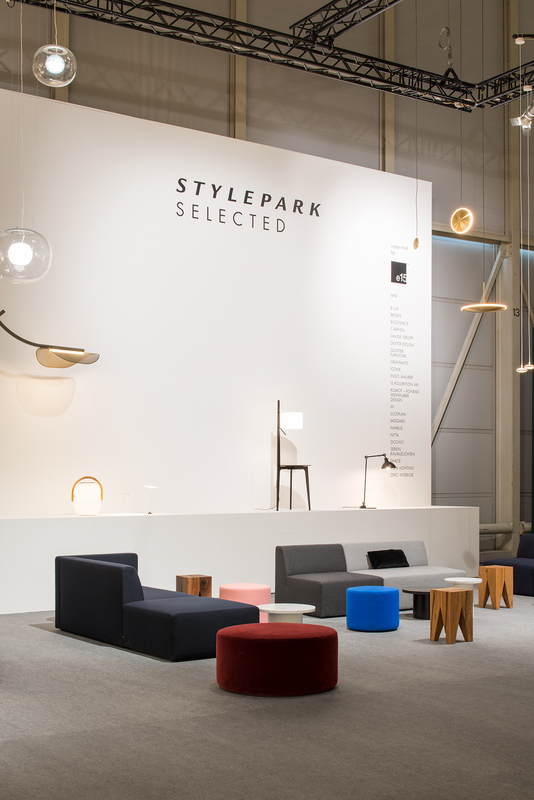 With this impressive backdrop the selected lighting of various types appears as a large two-dimensional collage referring to Stylepark’s core service as an online product data base. 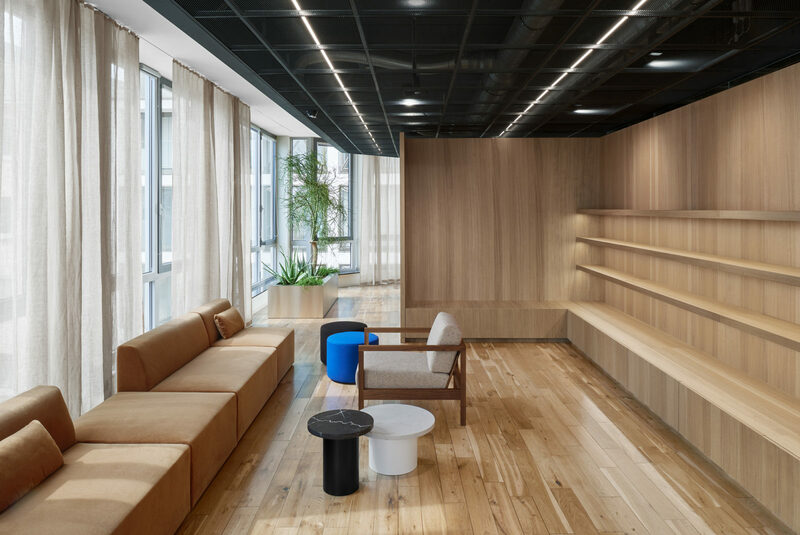 Café and lounge area are furnished with a set of e15 tables and chairs as well as a compelling arrangement of sofas and various side tables. 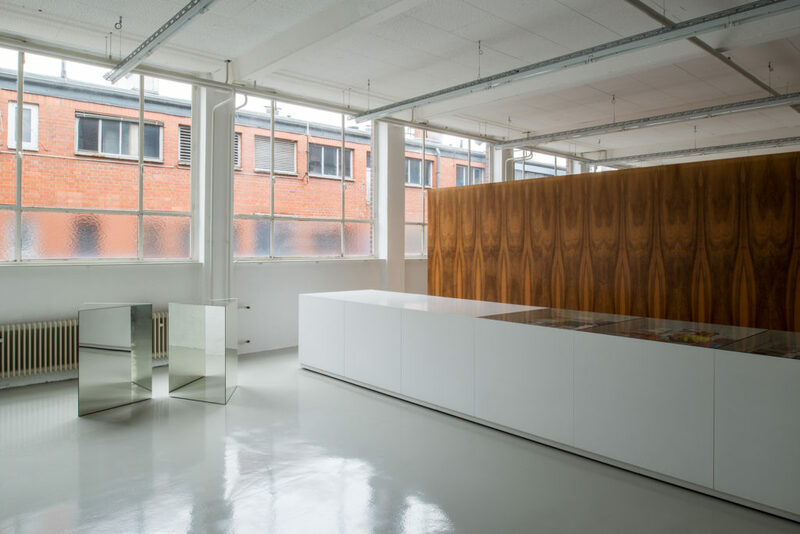 For the new offices of graphic design agency Sign Kommunikation, an industrial building was converted in the east of Frankfurt. 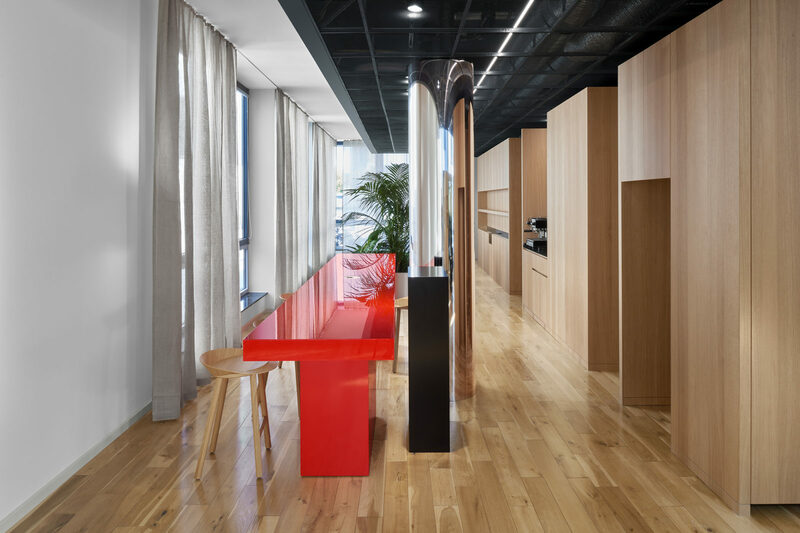 PHILIPP MAINZER OFFICE FOR ARCHITECTURE AND DESIGN redesigned the 430 sqm space to accommodate an open-plan office with meeting rooms, kitchen, archive and a small studio. 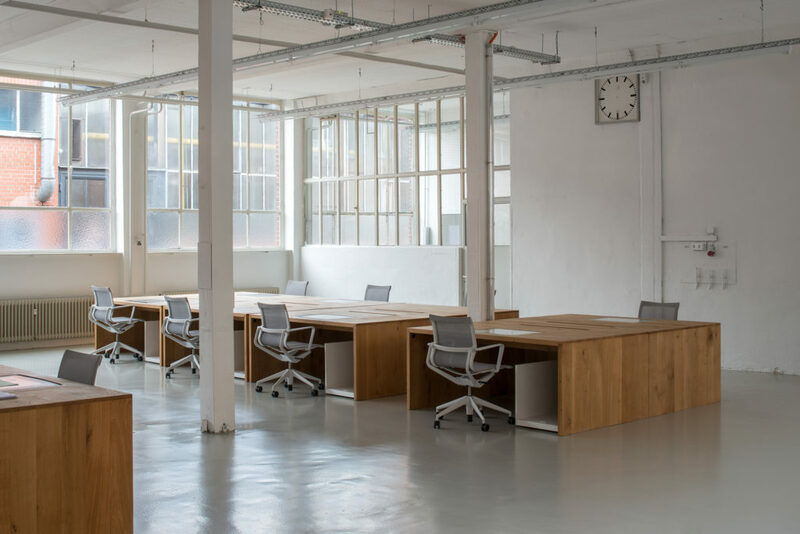 Retaining the industrial charm of the building, the generous interior was completely gutted to realise a bright and spacious layout. 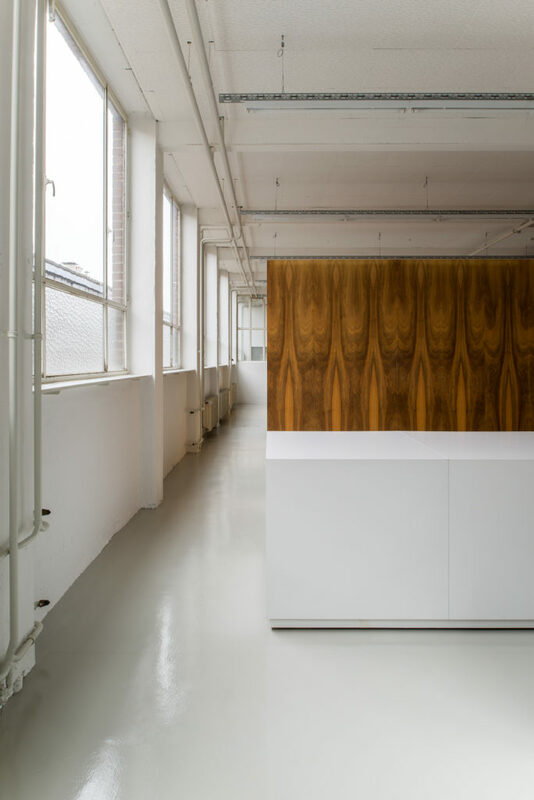 An inserted wall clad with walnut veneer creates a warm highlight in the otherwise reduced design concept and separates the work desks visually and acoustically from a presentation area as well as the remaining rooms. 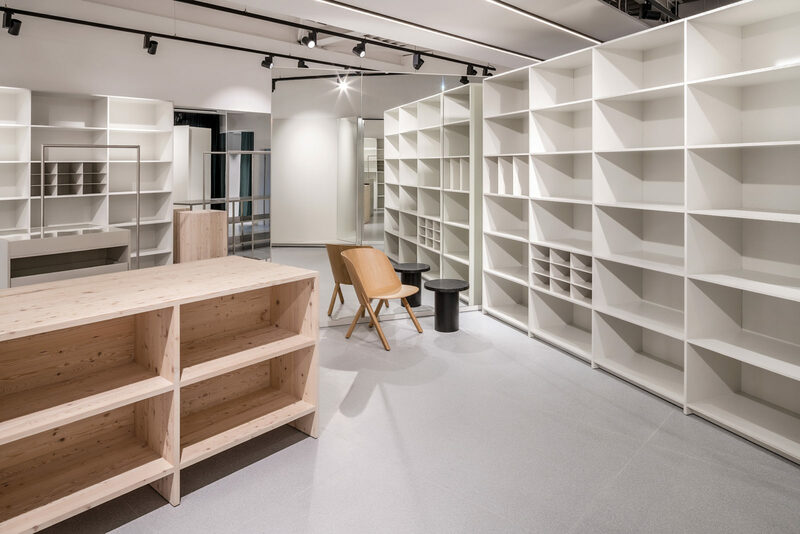 Furniture in solid oak juxtaposes the white walls and flooring in light tones, presenting an intriguing contrast. 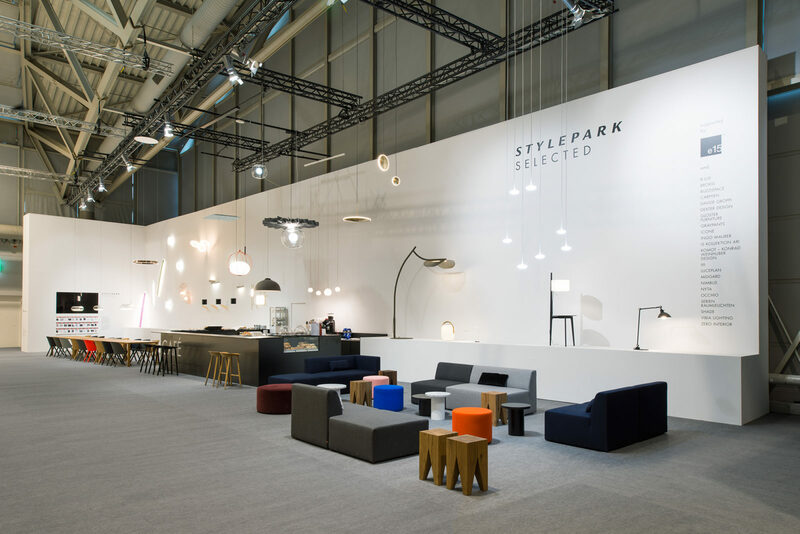 At imm cologne 2017, architect Philipp Mainzer debuts storage system jorel for interlübke. 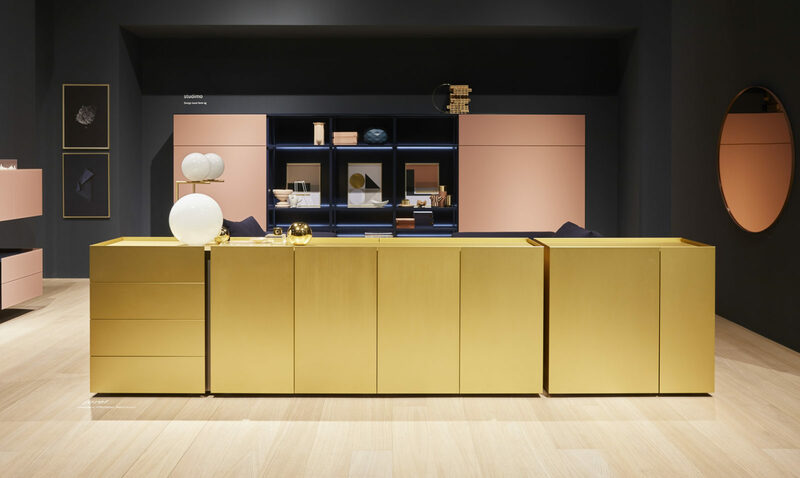 The collaboration is a highlight in the German manufacturer’s 80th anniversary year and Philipp Mainzer’s first design realised outside of his function as co-founder and creative director of furniture brand e15. 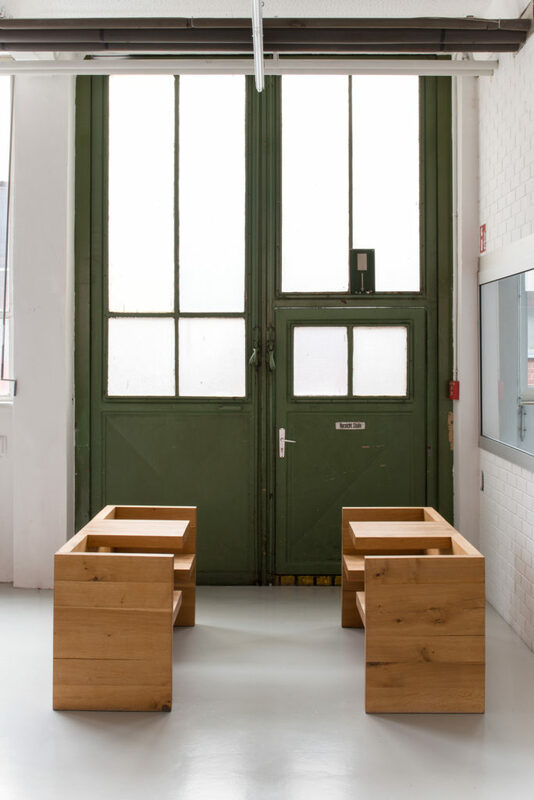 With its clear, architectural form, storage system jorel by Philipp Mainzer combines visual art and function. 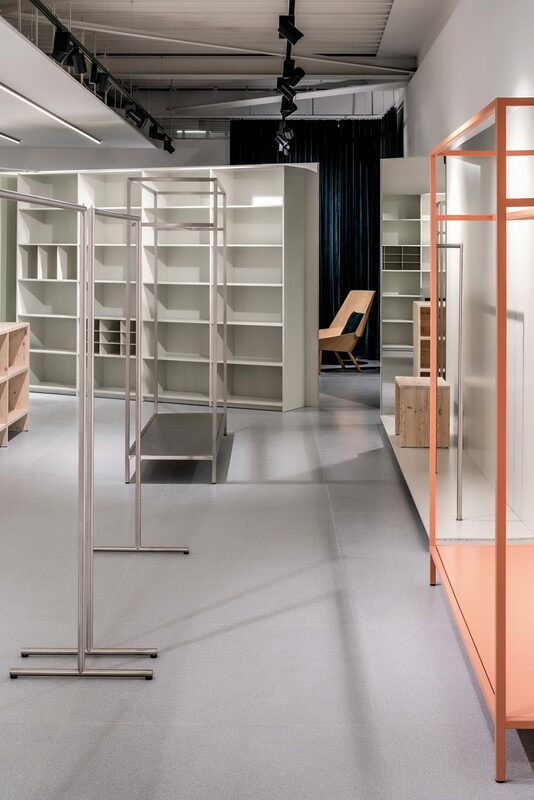 The reduced design is based on geometrical shapes and plays with the composition of irregular partitions which emphasise the precise fabrication, introducing a new world of materials for interlübke. 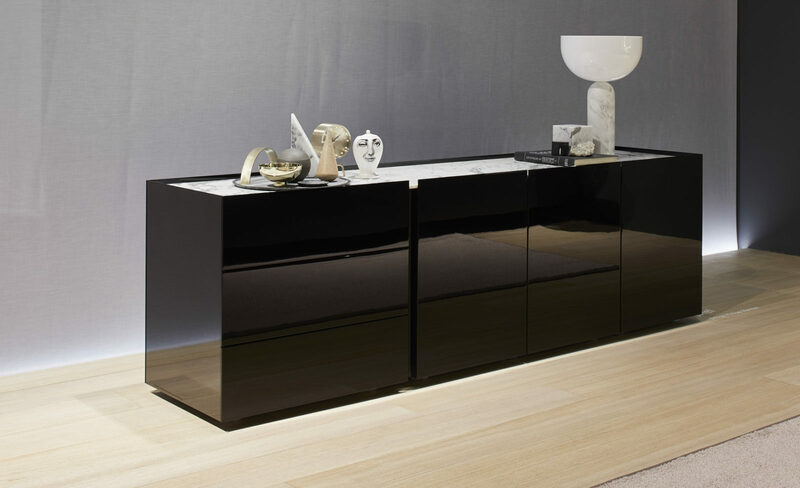 As a sideboard or standalone piece, jorel is characterised by overlapping fronts and a vertical cove allowing access to the content of its doors and drawers. 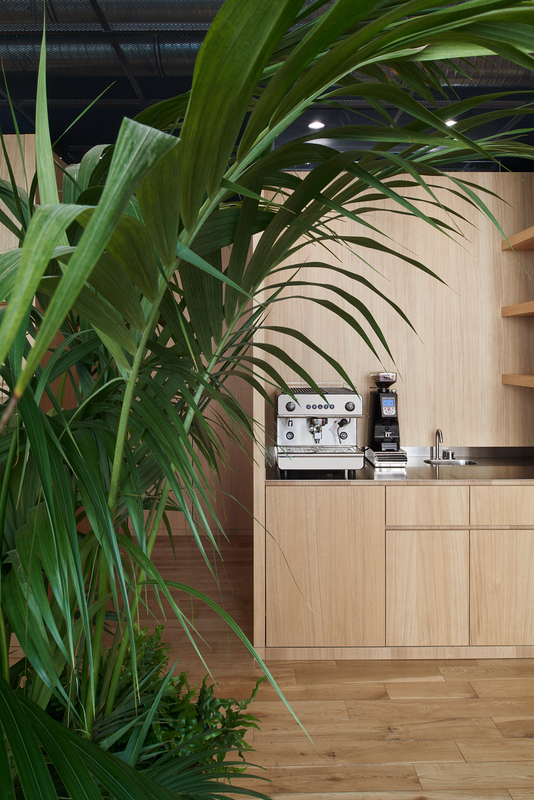 With a focus on high quality craftsmanship, the fronts and sides are an impressive 4mm slim and feature a range of pure materials such as lacquered HPL, glass, aluminium and stainless steel. 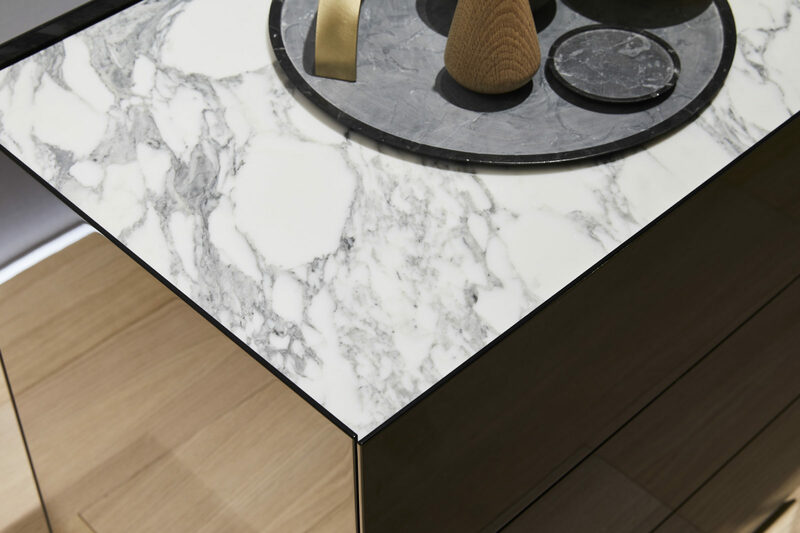 The understated top cover can be customised to match or contrast the verticals, resulting in an intriguing interplay of materials and numerous options to create different appearances. 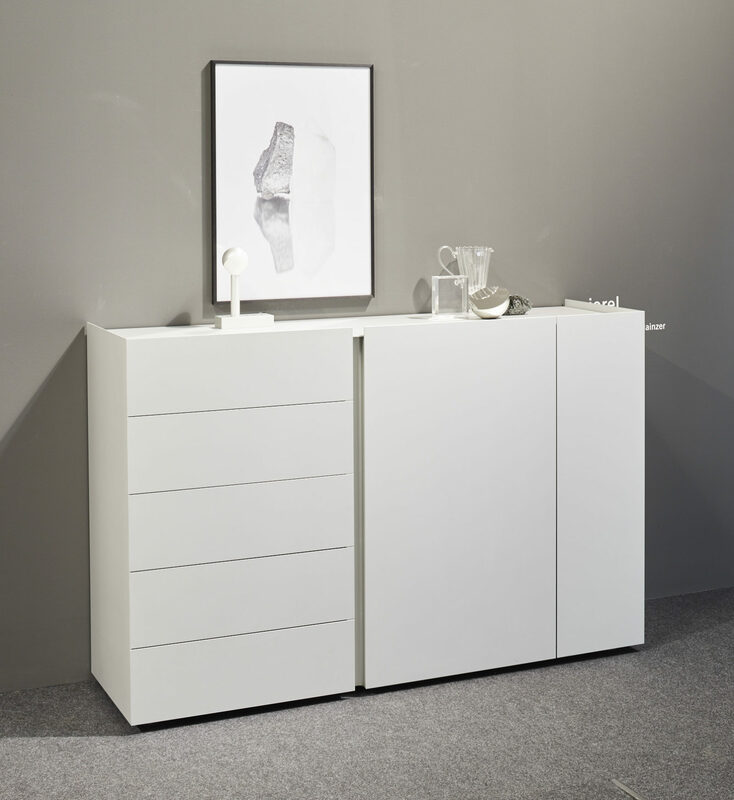 Available in 12 different combinations with drawers, hinged and sliding doors, jorel can also be wall-mounted or serve as a room divider, meeting a variety of different needs. 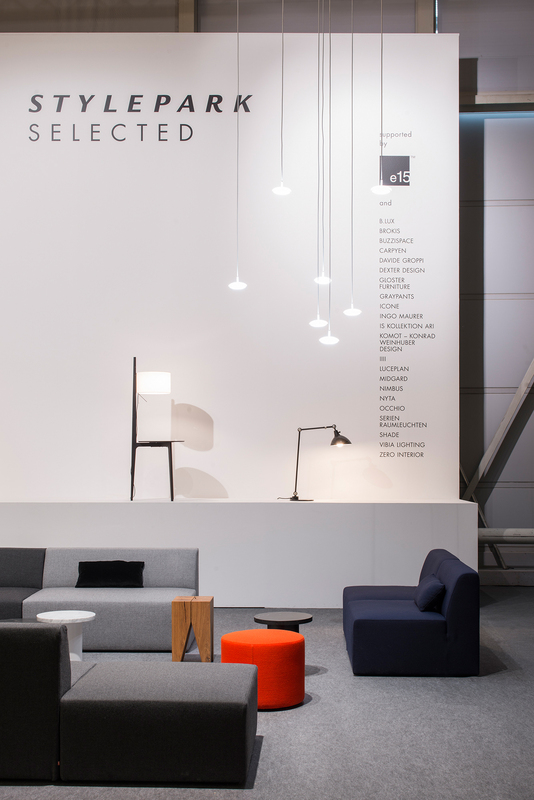 At the Iconic Awards 2017, jorel was awarded “Best of Best” in the category Interior Innovation / furniture. 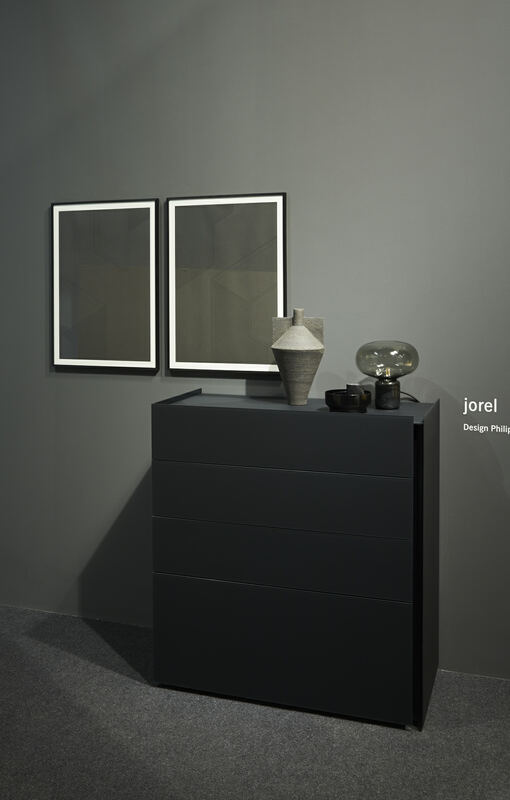 Download the full press release Philipp Mainzer designs storage system jorel for interlübke. 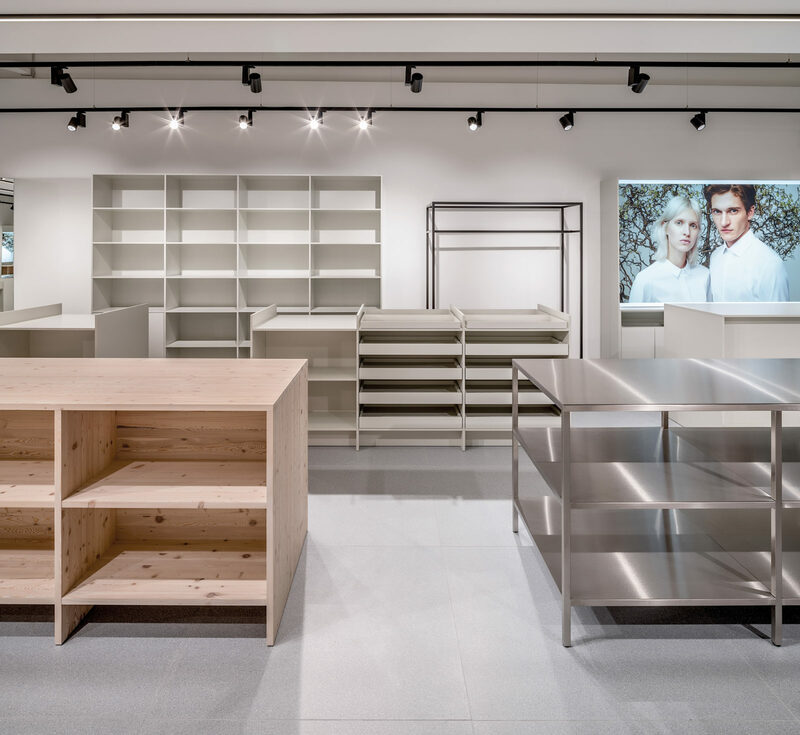 In close collaboration with ekn footwear founder Noel Klein-Reesink, PHILIPP MAINZER OFFICE FOR ARCHITECTURE AND DESIGN, together with Paul Bauer, has realised the interior design of ekn’s first store in Frankfurt. 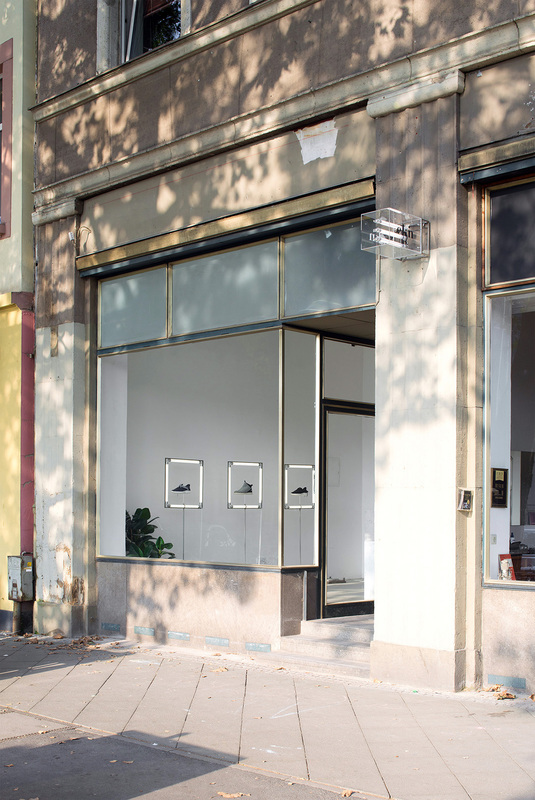 serving as the new headquarter for the ecological shoe brand. 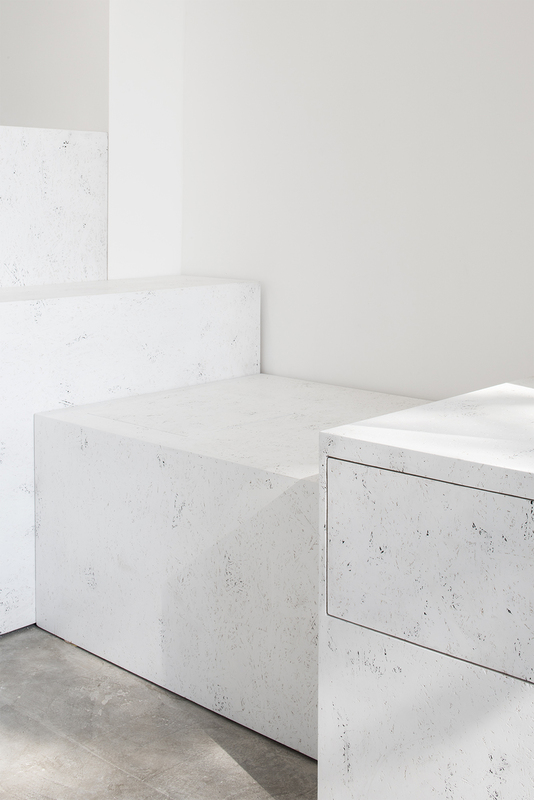 At the core of the interior design are stacked cubicles, creating an abstract sculptural appearance and an intriguing perspective. 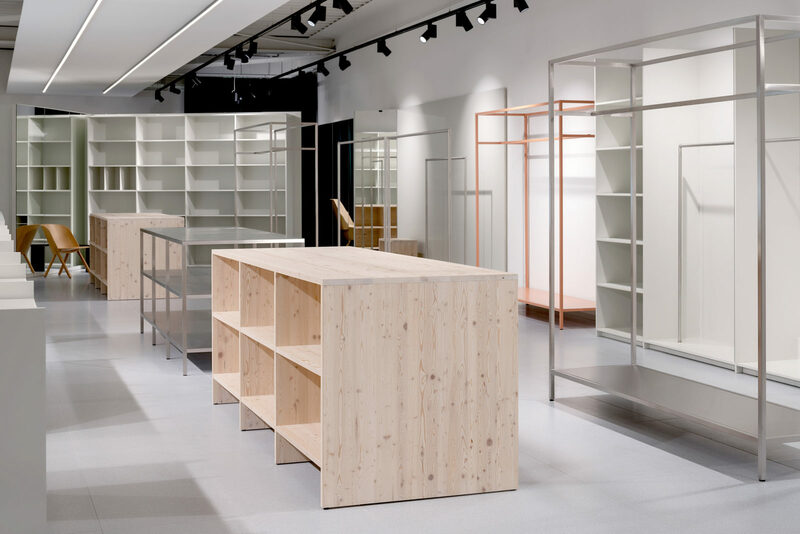 The boxes made from OSB boards function as presentation platforms for the latest collection, as work spaces, as well as an archive to showcase the high quality materials which are central to the brand’s identity. 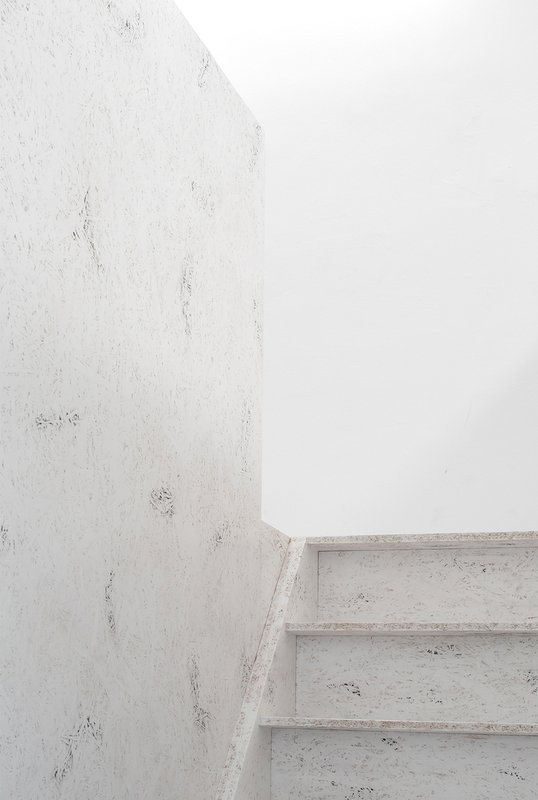 A treatment with white pigments transforms the recycled wood into a unique statement. 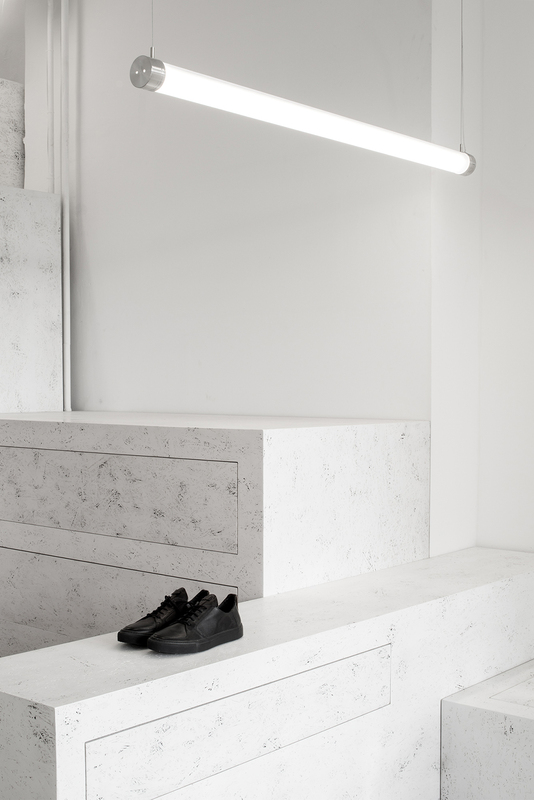 Raw concrete floor and white walls are set against the versatile cubes, resulting in a minimal interior which puts the products as well as the users of the space in focus. 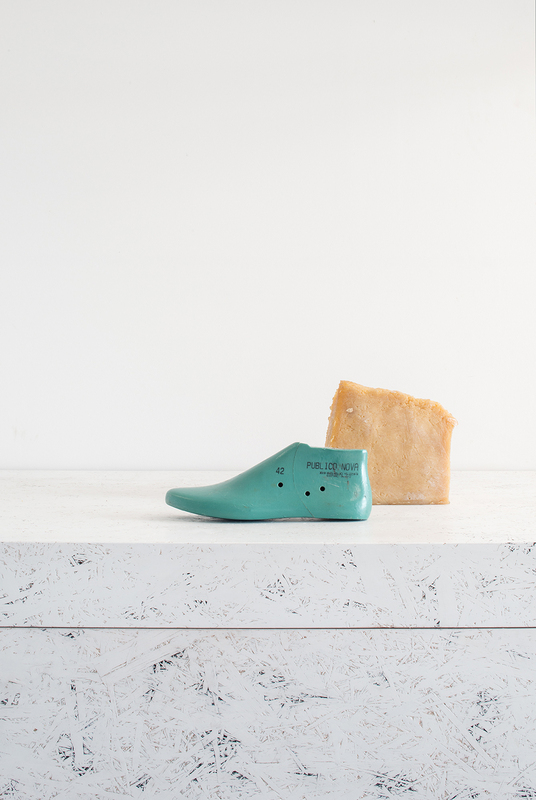 ekn was founded in 2013, offering shoes handmade in Portugal from organic materials and under fair conditions. 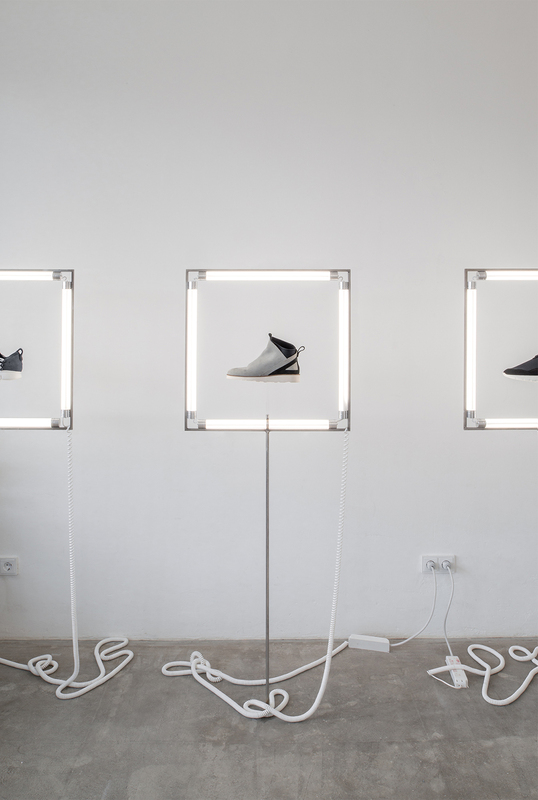 Combining products with maximum quality and a minimal ecological footprint, the brand with a strong network in the music and art scene distributes its shoes internationally. 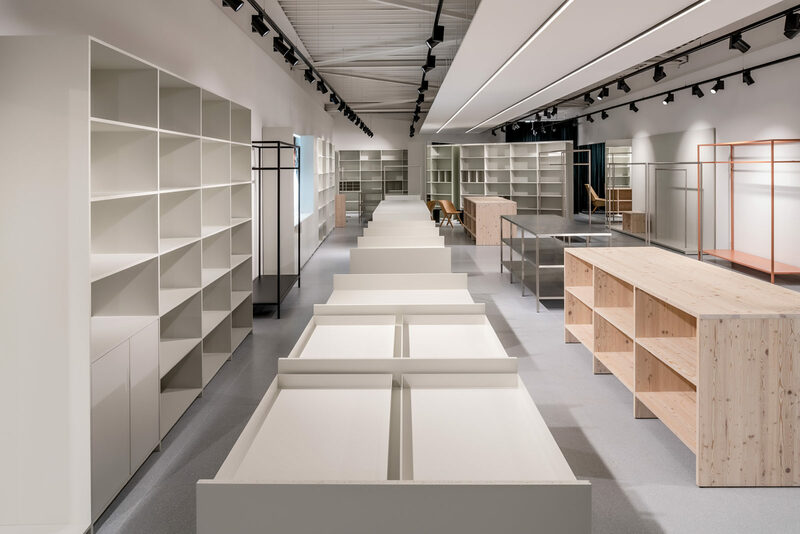 With recent projects such as the deli Louis Pretty in Berlin, and a distillery for the German gin Monkey 47 in Loßburg, PHILIPP MAINZER OFFICE FOR ARCHITECTURE AND DESIGN works internationally on commercial, residential and cultural projects, providing full architectural and design services.